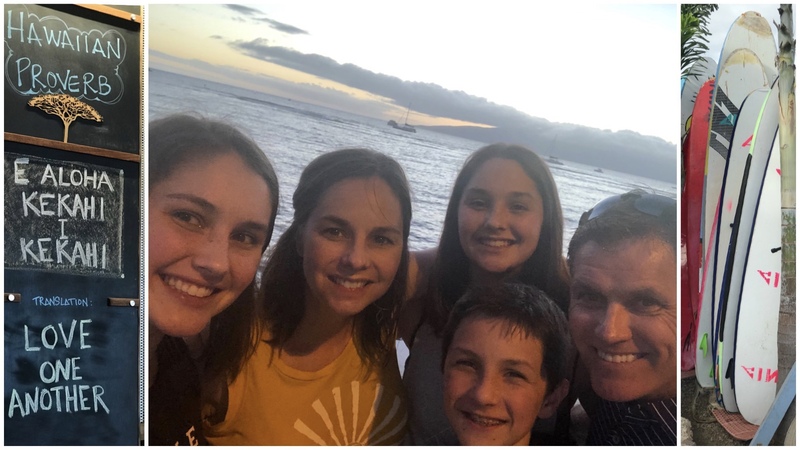 When our kids were younger we always took a vacation during the school spring break but as they have gotten more involved in activities we have struggled to find a window of time for a family vacation. This year our only option was to go over Christmas. 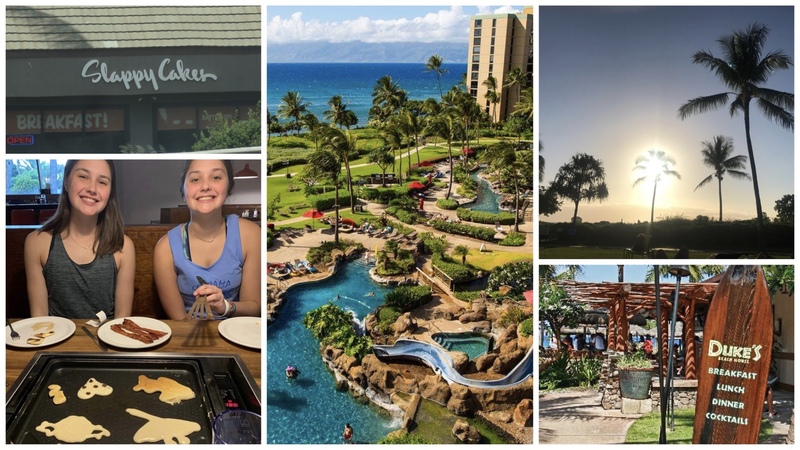 We weren't sure how it would feel to spend a holiday away from home but we booked it anyway, celebrated Christmas early, packed up and left for Maui. 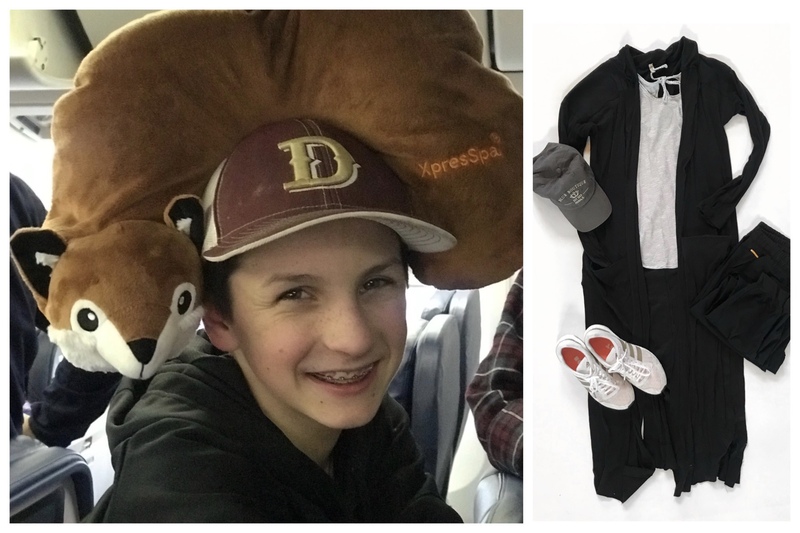 Suggestions for the flight: A good memory foam neck pillow, mine is by Cabeau and packs down into a small bag (not shown, fox belongs to my son, lol) A phone full of Netflix, it is a crazy long flight, even with naps and layovers. Refillable water bottle, I prefer the 21 oz Hydroflask, its slim, fits into a bag or cup holder, holds a lot and has a handle for easy carrying. In addition it has a powder coat so when you get to the beach sand won't stick to it and of course it keeps your water cold for hours and hours. We scheduled a tour with Bike Maui and then received the pick up time ... 1:00 AM (not kidding ... that is AM!). Luckily we had not adjusted to the time change yet so 1:00 AM felt like 5:00 AM and getting up was no problem. 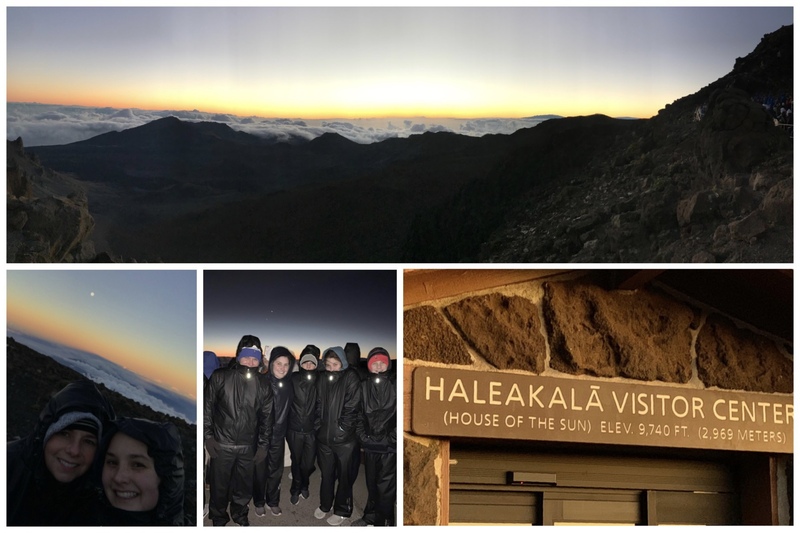 After getting fitted for wind suits & helmets they drove us to the top of the Haleakala volcano to watch a breathtaking sunrise over the edge of the crater. The top of the volcano is above the clouds (you can see them in these pics) and it's bitter cold with wind so insane that it is hard to catch your breath. I was grateful our tour guides suggested layers and provided wind suits. We saw many others wrapped in blankets or just in their vacation gear which would honestly be miserable. Even though it was crazy cold and we had to get up super early it was 100% worth it and the conditions just added to the drama of the sunrise. Biking down Haleakala was my favorite part of the trip. We biked through evergreens then between lavender fields and eucalyptus fields, it was delightful, beautiful and inspiring. The tour company spaced us out so we were rode with 20 yards between each rider. I loved that, it provided space to take in the views and solitude while still offering the safety of a group & a guide. 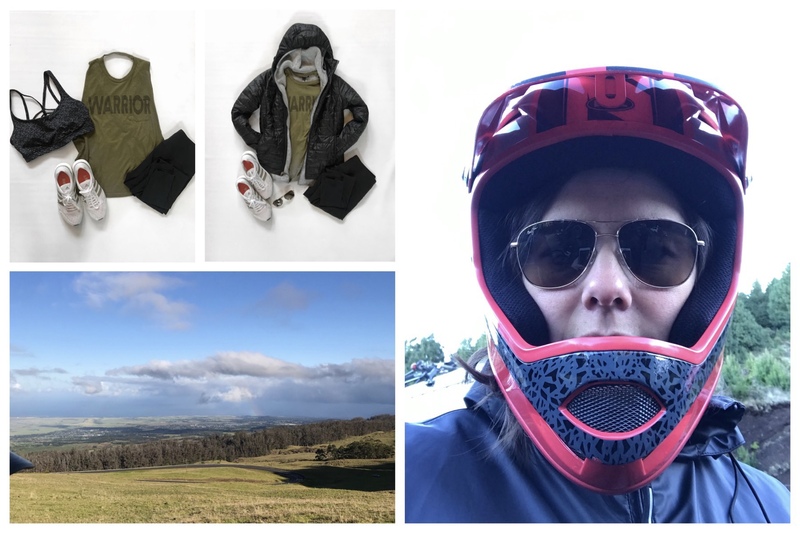 What I wore: Layers! 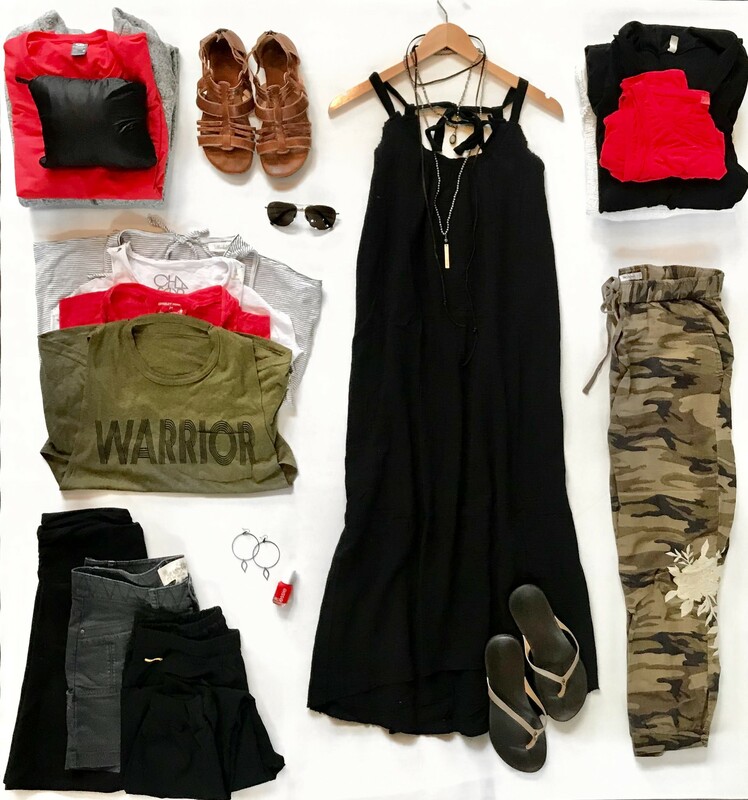 Smartwool sports bra (best for all day comfort + moisture wicking), soft cotton open back Warrior Tank by Free People movement collection, Prana Becksa high rise leggings, Patagonia Better Sweater and Patagonia Nano Puff packable jacket. I started in all of it plus a hat and gloves and by the time we got to the bottom I was down to the tank only. 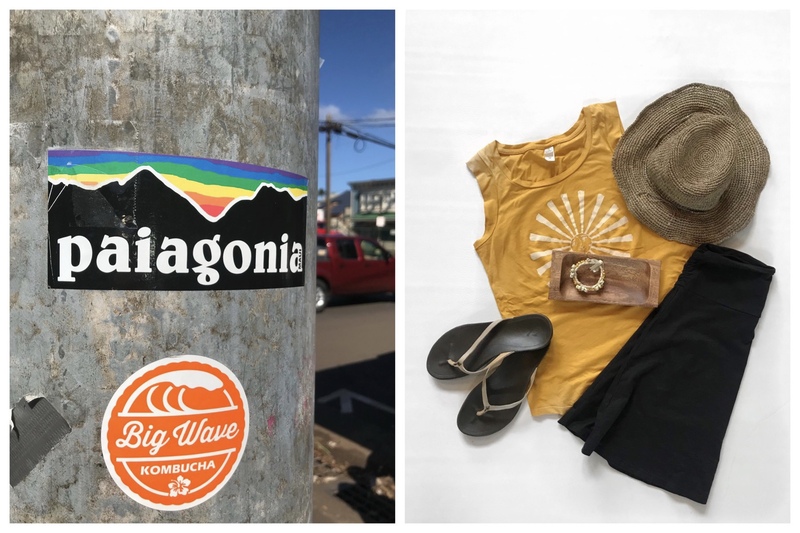 The bike ride ended in charming Paia, a small surfing town where life seems simple and being barefoot is the norm. We ate lunch at a local restaurant and did some shopping in the local boutiques. One shop was selling tanks designed and printed by a local artist. I couldn't pass that up, bought one and wore it later in the trip with my Toad & Co. Chaka skirt and a pretty shell bracelet. I also made us late to the tour bus because I couldn't decide which color to get. I hid the evidence in my backpack as we boarded the bus back. Got to do what you got to do & the shirt was worth it. While we were walking on one of the beaches we came across these colorful surf lines on the beach and realized that while they are kind of pretty they are actually bits of plastic washed up from the ocean and very dangerous to sea life and to us as they enter the food chain. To know about it is one thing but to actually see it on the gorgeous beaches was disheartening and we discussed it a lot. A few days later we took a whale watching cruise through the Pacific Whale Foundation and came across 4Ocean bracelets in their gift shop. 4Ocean cleans plastic from the oceans and makes it into bracelets to sell to fund their mission. We bought one (you can see it on Jack's arm) and then later followed up by adding them into inventory at Blue so we can do our part to help. 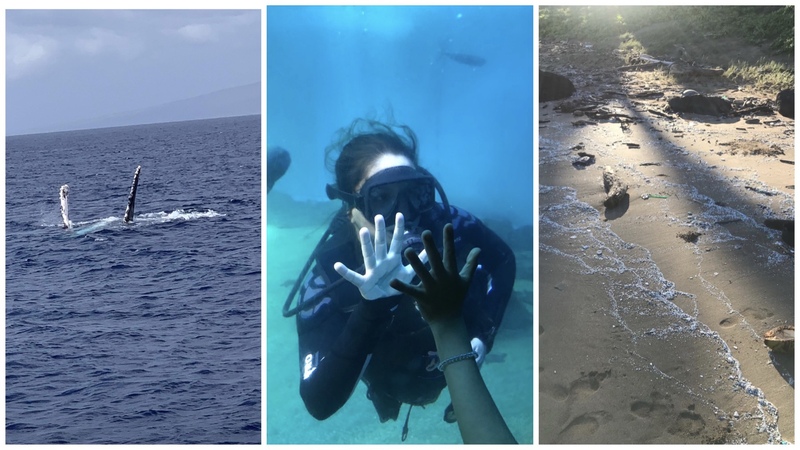 Middle pic is my daughter Julia swimming with sharks at the Maui Ocean Center, not my thing but she loved it and was excited to put her scuba skills to use. Not gonna lie, I was happy when it was over & she was safely out of the water. What I wore: Lovestitch gauzy sundress. 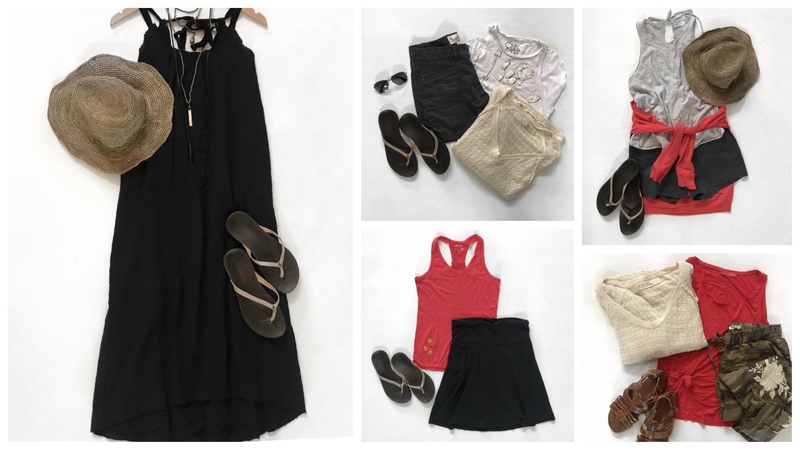 Aventura shorts with Free People light weight sweater/Chaser graphic tank, Aventura shorts with Bella Dahl tank/Icebreaker long sleeve tee. Smartwool tech tank with Toad & Co. skirt. Johnny Was embroidered joggers with Prana solid tank/Free People light weight sweater. Christmas in Maui was a success! 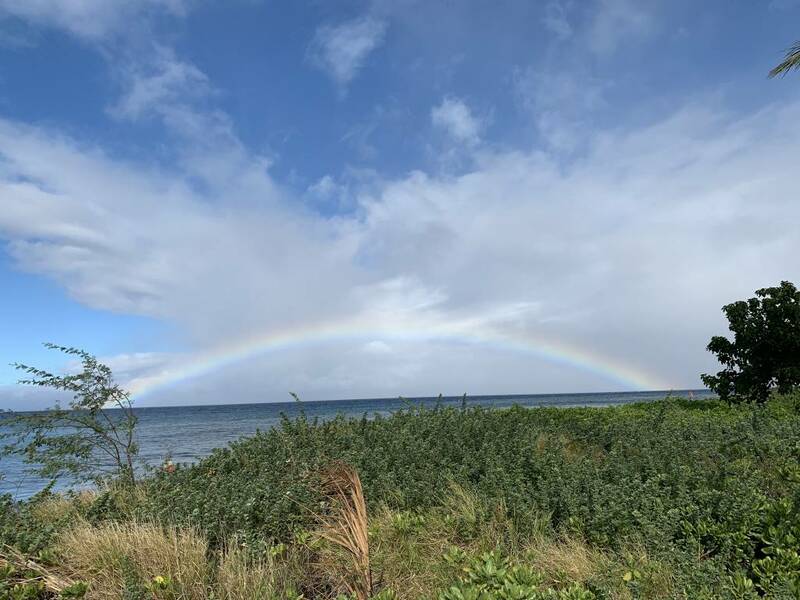 and we learned we absolutely love Maui and that all we needed for a perfect Christmas was each other.